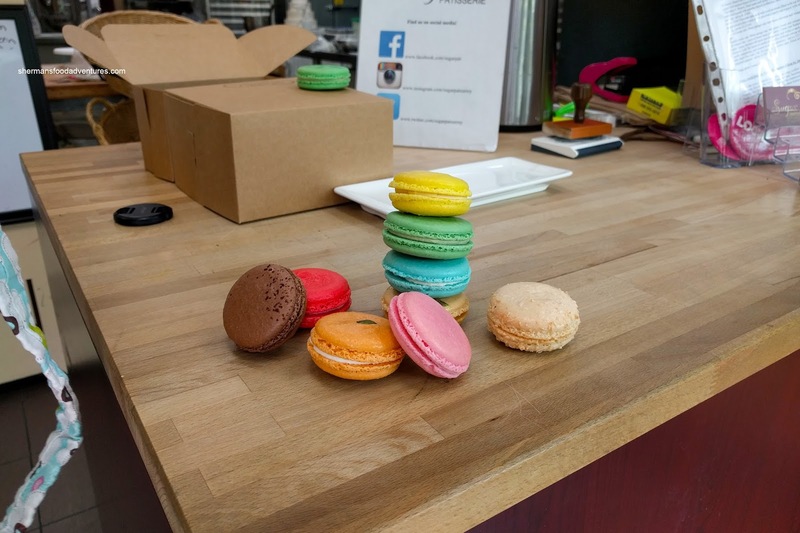 We all know that some of the best macarons in the GVRD can be found at vancouver locations like Soirette and Bon Macaron. If we head out further, there is also Chez Christophe and even Kitchening with Carly. However, are there any decent macarons to be found once we cross a bridge? 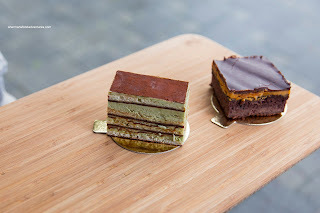 Yep, L'Opera Patisserie makes some mean ones, but how about Surrey? 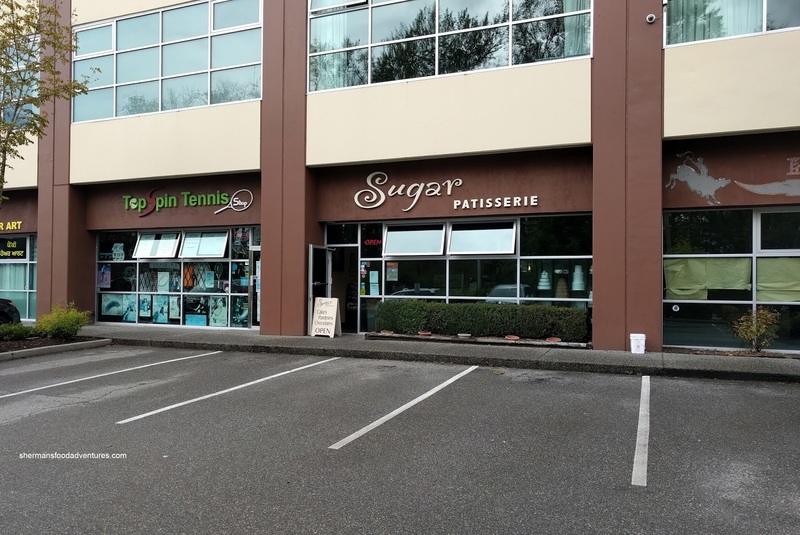 That is what I wanted to find out the first time I visited Sugar Patisserie out on 64th Ave. It was a fail since it was closed (4pm). So I tried again and picked up some other items including their macarons. I went for a full dozen of Macarons that covered all 10 of their available flavours for the day. These consisted of peanut butter caramel, strawberry, pumpkin, coconut, chocolate, raspberry, caramel, Tiffany vanilla, pistachio and lemon. When I first bit into one at the store, they were still cold from being refrigerated. Hence, I waited for them to warm up and they ended up to be lightly crispy on the outside and chewy on the inside. Interestingly, the peanut butter caramel was rather dense and chewy while the coconut was lighter and softer. This was the theme for most of the macarons, so depending on the flavour, the texture could vary. My favourite was the coconut as it was aromatic and not too sweet. As much as I wasn't a fan of the texture of the peanut butter caramel, it was pretty tasty. However, the most tasty thing was actually the Peanut Butter Brownie. This was well-balanced in flavour with a mild sweetness from the rich chocolate and the classic nutty aromatics from the smooth peanut butter. Texturally, the brownie was dense and moist without being too heavy. This was something that I couldn't stop eating and wanted more of it. With a bevy of layers, the Pistachio Torte sported an almost floral quality. It was aromatic, lightly sweet and ended off with a classic roasted pistachio essence. The torte was light yet a bit dry despite all of the cream in between the layers. Something that was less sweet and had a bitter finish was the Chocolate Caramel Tart. It featured a thick ganache chocolate filling that was smooth and as mentioned, with a dark chocolate slant. The buttery tart shell was crispy and firm while aggressively baked. That meant there was a certain nuttiness from the copious amount of butter. 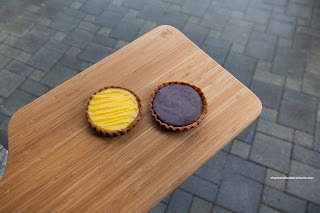 Now that tart shell worked with the robust chocolate filling, but it was a bit too strong for the curd in the Lemon Tart. Despite being appealing tart and only purposefully sweet, the aftertaste of the nutty tart shell was more dominant. Now that didn't mean the whole thing wasn't good though as the custard was tasty and had a balanced consistency as well as a sparkly sheen. 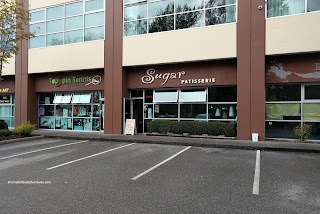 So despite some shortcomings, I believe that Sugar Patisserie offers up decent enough products, especially given the lack of choices out in the area.